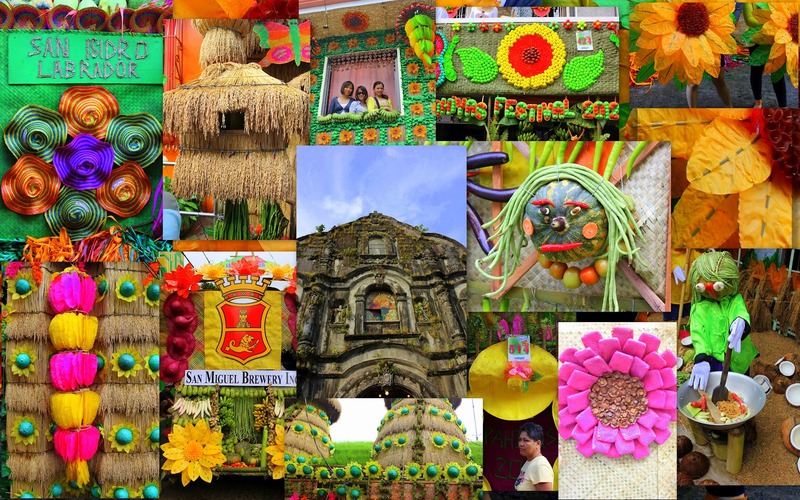 Every year of May 15, Lucban Quezon celebrated their Pahiyas Fesvital in honor of San Isidro Labrador. 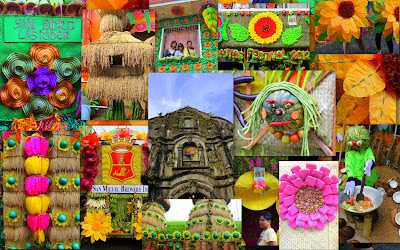 The colorful summer festival honoring the patron saint of farmers San Isidro Labrador. 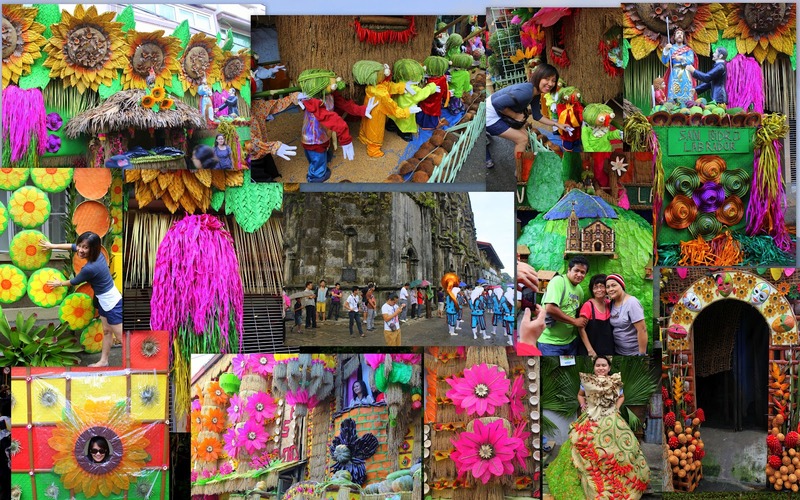 This is the second time to witness the festival, We’ve joined to a tour organized by Huglet Travel Tour. I’m with my high school friend Arlyn (accompanied by her brother Ayan and her brother girlfriend Tintin) and my officemate Mhalen (accompanied by her friend Lance.). The meeting place is at McDonalds Greenbelt 1, time of departure is 4 am. We went to the place around 3 am. We stayed at McDonalds and have a chat while waiting for the bus. Around 3:45 am, the bus arrived and the organizers proceed to McDonalds Restaurant to give our tour kit (handkerchief, Pahiyas Map, seat number). To sum up the total passengers it was almost 45 passengers. 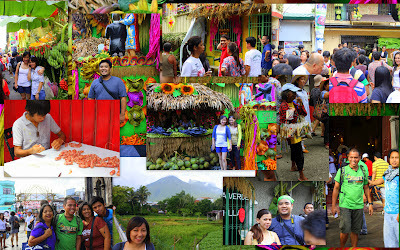 The cost per head is 995 pesos; they provided one bottle of mineral water, 100 pesos for lunch and round trip tour. 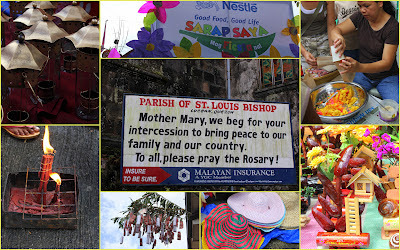 At Lucban Quezon, the bus stopped at Milagrosa Village and we take a tricycle until in front of the Pahiyas Festival Arc they not allowed vehicles to go inside the vicinity of Pahiyas Festival route because it will cause heavy traffic and the road is very narrow. When you take tricycle the cost is 10 pesos per head and maximum passengers that tricycle can accommodate are 6 persons. 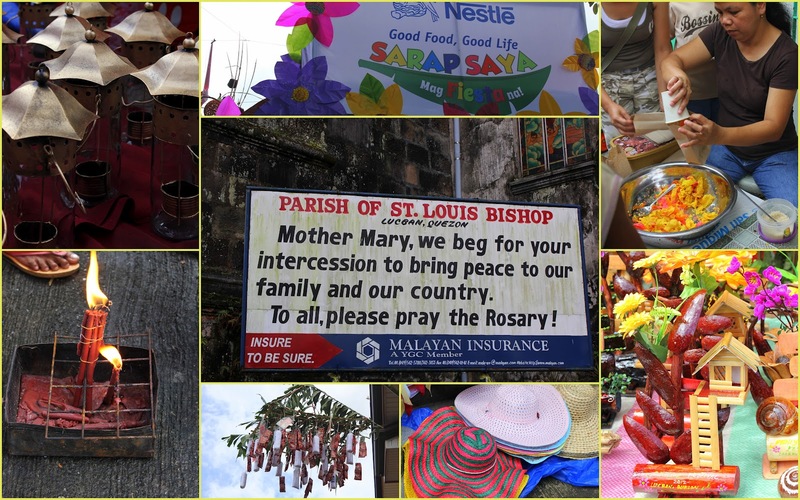 When we reach the Pahiyas Festival vicinity, we went first to the church then after that we ate at Budy’s Restaurant for our breakfast and early lunch (brunch). We ordered their famous pancit lucban and longsilog (their famous longanisa lucban, fried rice and egg). 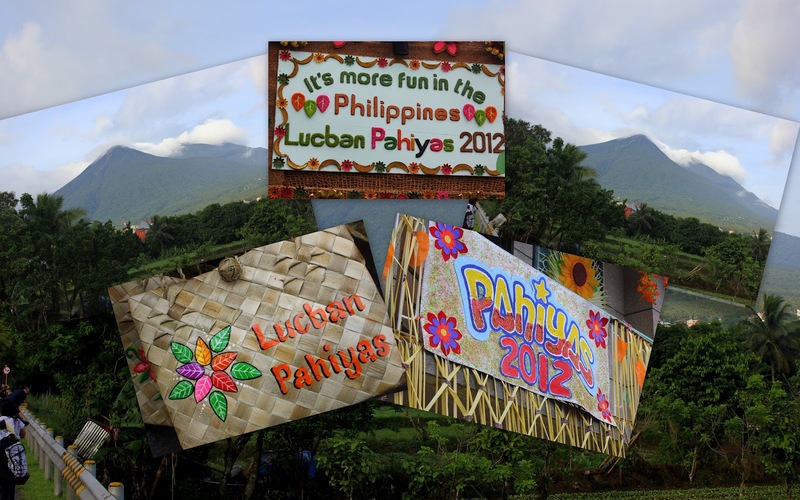 When you ate their pancit lucban (they called pancit habhab also) it is not complete if you will not put some vinegar made in Lucban Quezon also. The taste is good and 100% recommended. After that, we go around the Pahiyas route to see house decorated of some colorful colored plants they harvest like the very popular kipping (they also sell fried kipping with sugar), plants fruits like ginger, sili, labanos, pumpkins and a lot more. Some houses are decorated perfectly and for sure many tourists amazed and thinking how they do that. 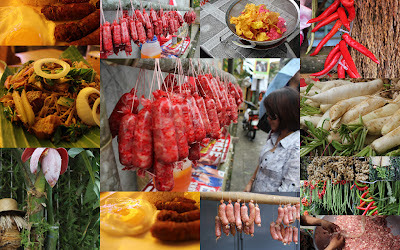 Then we bought some delicacies like longanisa lucban, meringue, budin and broas. 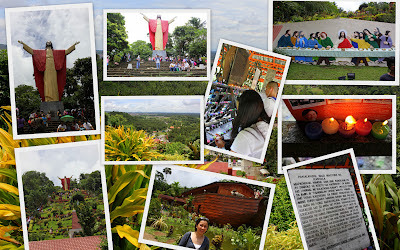 Kamay ni Hesus, from Pahiyas Festival route it will take less than 5 minutes ride via tricycle cost 10 pesos per head. The tourist attraction is their big statue of Jesus Christ at the top of the hill but before you reach the top you will saw also some statue that show the stages of 13th signs of the cross. After that we went back to our bus. 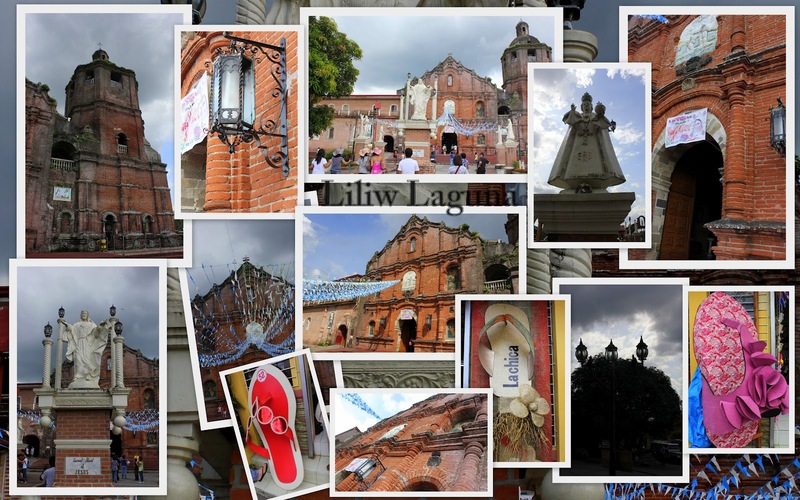 Liliw Laguna, we went to church first then bought some slippers, the place is popular for slippers production and they have Slippers Festival (Tsinelas Festival). 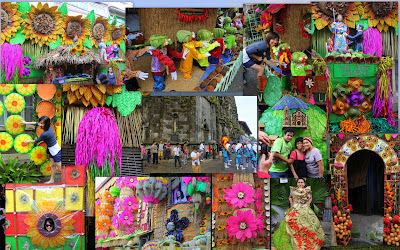 All slippers makers create big slippers (tsinelas). Nagcarlan Laguna, to see their popular underground cemetery. San Pablo Laguna, to visit the one of the oldest church in the province of Laguna. 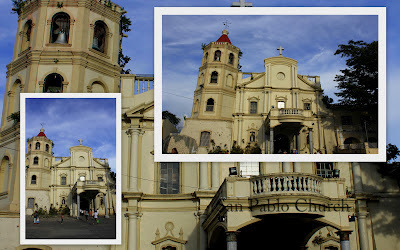 After visiting all that places, we went back to Makati City our last destination. 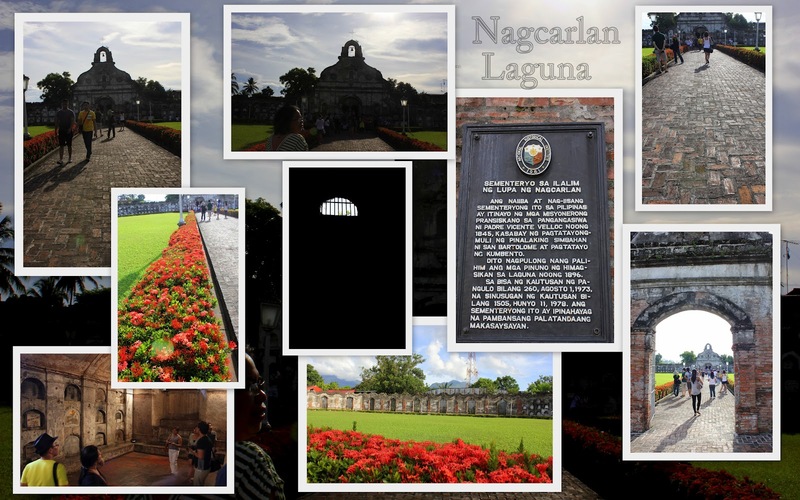 The tour was fun and we enjoyed the places we have visited. Thanks to my travel buddies for making this trip possible. 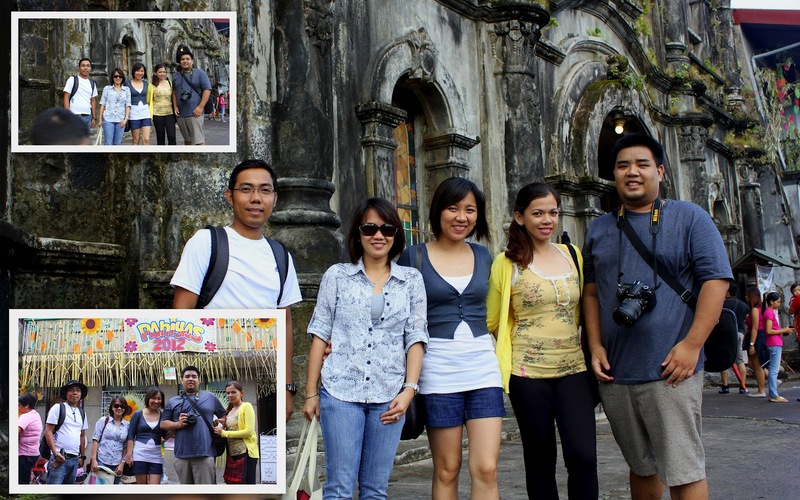 Until next time Arlyn, Mhalen, Lance, Ayan and Tintin.